What a welcome album we have in Goodbye Terrible Youth! My ears say thank you. My brain says thank you. My heart says thank you. It is the work of American Wrestlers, the project founded by transplanted Scot and former shoegazer Gary McClure. Blending together a meaty stew of distortion, fuzz and jangle, with overdriven guitars, organ and synths, this is modern indie rock for those of us that have always loved indie rock. The riffs will remind you of the '90s in a very good way, but you'll find a veins of Big Star power pop and welcome chunks of California/Manchester guitar pop as well. The arrangements are direct, unfussy and sparkle with youthful vigor. The thematic focus is inward and retrospective, with sharp songwriting that evinces the mind of a man who knows what he wants to say. You will find snarl, disappointment, defiance, triumph, and moments of sweet reflection. 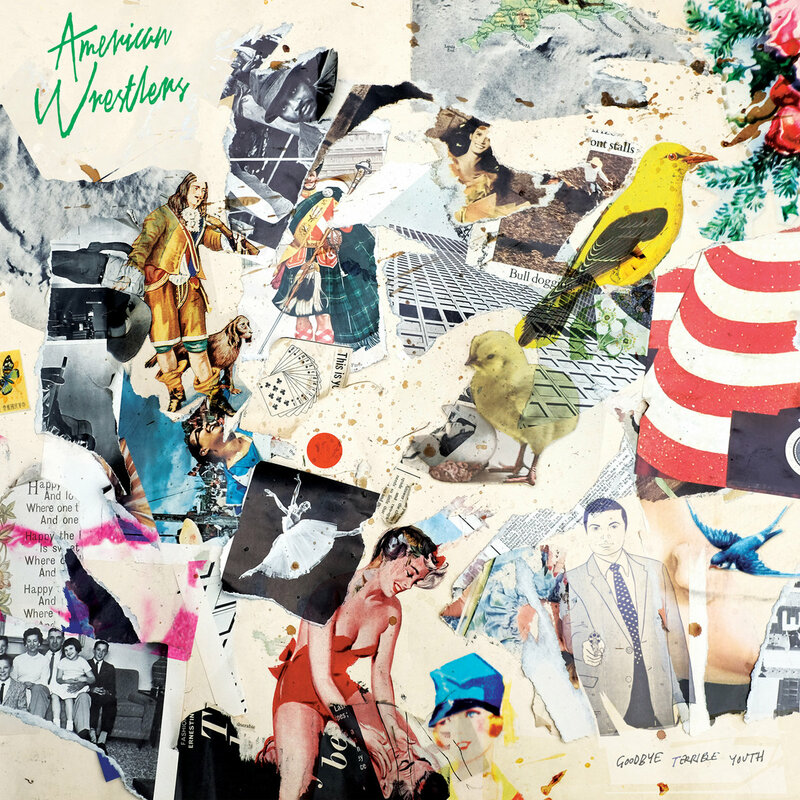 Where American Wrestlers' 2015 debut album walked the lo-fi path of bedroom pop, the 2016 version of the band is ready for -- and deserves -- a bigger stage. Goodbye Terrible Youth is out now via Fat Possum Records. American Wrestlers are Gary McClure (guitars/vocals), Bridgette Imperial (keys), Josh Van Hoorebeke (drums), and Ian Reitz (bass). I've been holding out on you, dear readers. For over a month one of my favorite records of the Fall has been massaging my ears with great guitar pop, and I haven't mentioned a word about it to any of you. I feel shame; great shame. The record is Snow Globe, a five song EP from Melbourne's Tiny Little Houses. The arrangements recall lo-fi bands of the '90s, and the themes are emotionally charged and intense. The vocals remind me of Silversun Pickups. Several of the songs are slower paced, but showcase track "Song Despite Apathy" and opener "Medicate Me" bristle with energy. There are no weak songs, but other highlights are the ever-building post-break up song "I Hate That You're Happy" and closer "Lonely People". With the other song titles including "Not Pretty Enough" (a cover of Kasey Chambers' pop hit), one might be tempted to dismiss the effort as too emo. Don't make this mistake. This is well crafted and performed pop, with deft dynamics and just the right amount of self-deprecatory bluntness. Moreover, it serves as the calling card for a talented band from which we'd like to hear a lot more music. Tiny Little Houses began as the solo project of Caleb Karvountzis. For the last couple of years the band has been a four piece, with Caleb joined by Sean Mullins, Clancy Bond, and Al Yamin. When the artist's name is Bloody Death Skull, you would expect a Halloween release date. And you would be correct. You also would expect the feature of the release to appear on that date. But you would be wrong. Perhaps you have us confused with real, professional music journalists. The facts are that Halloween was a blur of sugar-induced semi-consciousness, near alcohol poisoning and silly costumes. We call it "Monday". So you read about The Haunting of Bloody Death Skull a couple of days later. However -- and quite accidentally -- the journalistic malpractice is not as bad as we feared, because it really isn't a ghoulish album. The themes can trend to the dark side at times, but overall this is a delightful bundle of retro girl group, doo wop and garage stylings sung in a girlish voice by the talented Argentina to Florida to Columbia University to California Daiana Feuer and supporting conspirators, including Gerard Olson, Beth McSelf, and Donna Bummer. The tunes are snappy, sweetly bittersweet (yes, that's a thing), slightly shaggy and very fun. A bit of punk attitude and some toy instruments give it a delightful extra edge. The Haunting of Bloody Death Skull is out now as a self-release. See the Bandcamp link below for this EP and previous releases. Helsinki, Finland is a long way from California, and 2016 is a long time after the '70s, but Paltsa-Kai Salama makes the geographic and temporal journey effortless on his excellent new album of sun-kissed, pastoral, psychedelic pop, Night At The Beach. Make no mistake, this is contemporary indie pop, but Salama's creations seem inspired by the Grateful Dead, CSN&Y, The Byrds and other worthies of the '70s that could be mentioned. And unlike the denser music of Black Lizard, the other band he fronts, the results are warm, airy and bring to mind nights under the stars on the veranda along the beach. Several of the songs, including the affecting "Carry Away" rely solely on acoustic instrumentation, while the opening and closing tracks, "Ran Out Of Love" and "Cry No More", respectively, are tightly crafted indie pop tunes. A few songs display country rock touches appropriate for the influences. "Silent Moment" is a highlight for several reasons, not the least of which is Jussi Hurskainen's saxophone. Throught Night At The Beach Salama displays a deft touch with bringing the songs to life. Each tracks wears its heart on its sleeve, and has the right amount of energy and flair. We certainly don't want him to quit Black Lizard, but we are happy to celebrate the breadth of his newly revealed talents. 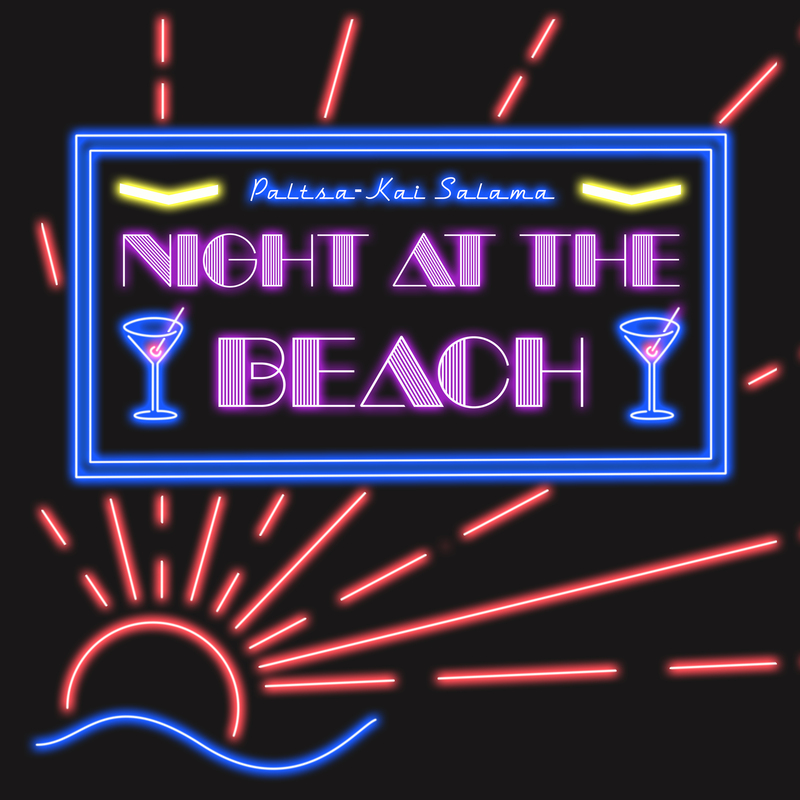 Night At The Beach is out now via Helsinki's Soliti Music. The players on the album were Paltsa-Kai Salama (vocals/guitars), Sampo Seppänen (bass/percussion), Iiro Tulkki (keys), and Jussi Hurskainen (sax). All songs were written by Paltsa-Kai Salama. $MGGLR, Smgglr, or DJ Smgglr? I don't think I know the correct name. But this Florida-based producer has feel for constructing a great song. My late night pleasure tonight is "Alone", featuring vocals from fellow Floridian Fader Lima. 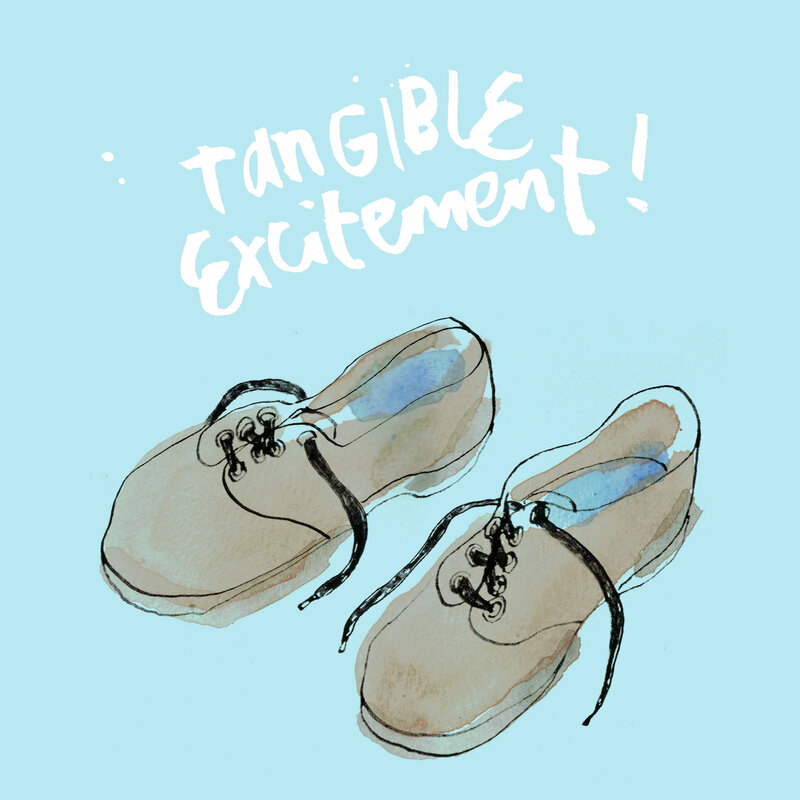 We all could use a bit of excitement, and we provide it today via the self-titled EP from Tangible Excitement! The band features features Arizona-based Stewart Anderson (Boyracer and many other projects), Scott Stevens (Earthmen, Summer Cats), and Mark Monnone (The Lucksmiths, Monnone Alone), with assistance from Louis Richter (Mid-State Orange, The Lucksmiths, The Zebras, Bart and Friends). The record kicks off with the instant guitar pop classic "Muddled Whine", which is so good that the band reprises it in acoustic form as the closer. "My Bigmouth" continues the pop parade with soaring vocals and handclaps. The third song is a racing cover of Tiger Trap's "Puzzle Pieces". The Tangible Excitement! EP hits all your pleasure sensors just the way you like it, and leaves you wanting much more. These guys know guitar pop, and deliver it masterfully. The record is available in digital and limited edition vinyl formats from Emotional Response Records and, for UK/Europe fans, FreakScene. Emotional Response Records' Bandcamp for Tangible Excitement ! FreakScene's Bandcamp for Tangible Excitement !